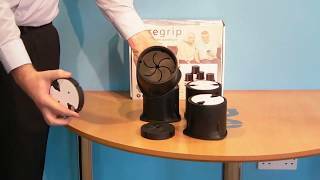 The Langham SureGrip Furniture Raisers securely grip onto furniture and bed legs using a double grip feature. 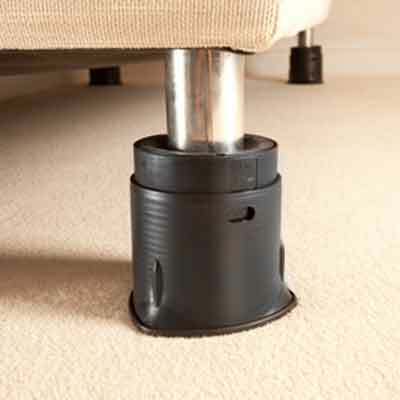 Langham SureGrip Furniture Raisers securely grip onto furniture and bed legs using a strong double grip. They can accommodate castors and legs (with a diameter of up to 70mm) and now also block feet, by using the adhesive pad adaptors that are included. Each raiser unit simply twists to give a variable height range from 1.5" to 4".